We left at before the crack of dawn (4am) to catch our flight to Cancun, Mexico for Jordan's graduation trip. The only saving grace to this whole traveling thing...I HATE the getting there part...was that there was Wi-Fi aboard our flights. 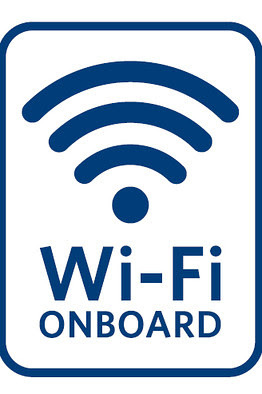 Now, I don't know why I would think that the wi-fi might be free after spending a small fortune on the (5) tickets & $75 to check 5 bags. And do you know that the check in agent even broke out a friggin tape measure for one of our bags? Made my eye damn twitch cause had it not be within the limit - there would have went another $55 on top of the $75. I would have been PISSED. N. E. Way...the wi-fi was not free. It was $9.95 for the day. Fine. I whip out the computer and get to working. Ummmm....well I quickly figured out that this was not going to work as my batter was not fully charged so I only got to play for about 30 min. HUMPH. I put my computer away and pull out my iPhone and WHA-LA! I'm back in business. That too was short lived cause after about another 30 min of fiddling around and getting in a couple of games of Scrabble with my FB friends - BAM - no service. I get a message that says the wi-fi service if only available in the Continental USA and that I must be out of the service area. NO SHYAT SHERLOCK. I crossed over to international waters and thus I'm out of the service area. We land, run the customs guantlet only to have to run a guantlet of timeshare and activities hawkers...and those people are RELENTLESS. I actually had to get ugly to just make it through the crowd. We made it to the Westin Lagunamar Ocean Resort and it is beautiful. The water is a tourquoise blue and there is an infinity pool with a swim up bar. I'm on vacation and life is grand.